Our first two events occured in the same month. It’s been a fascinating start here in Loresoft as within our first month we managed to have a presence in two gaming events! Our first start was in Moscow during White Nights Conference (October 10-11), one of the biggest business gaming exhibitions in Europe. 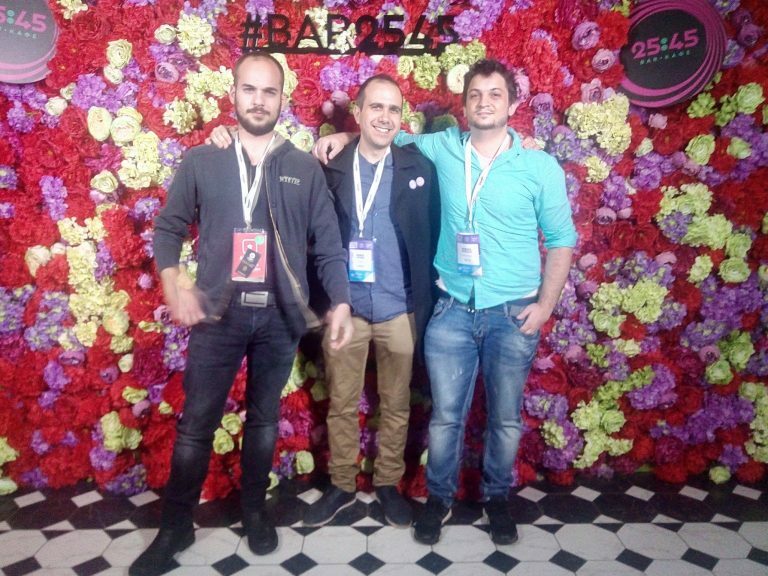 White Nights Moscow featured major game developers from Russia, Ukraine and other countries. 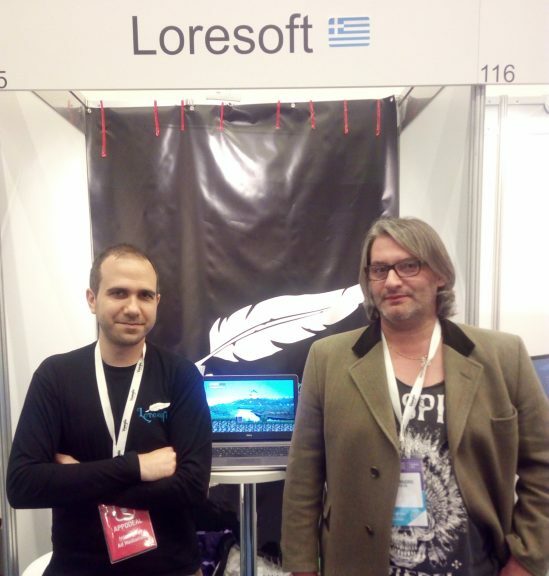 Greece was represented with three game development teams, and one of them was Loresoft. White Nights was our first official presence as Loresoft. During the two days of the event we got valuable feedback from the prototype version of Katyusha from both developers and investors. We also gave our first interview to Gameguru.ru the editors of which really liked our effort. All reactions from Russian gamers were positive. Some of them were excited about the idea of implementing Katyusha, others were…surprised. “Why Katyusha?” was a quote that we heared some times during the event. Well, someone had to make a start for this character that has never been introduced in a video game or movie. The song has hundreds of millions of fans around in the world and World War II is the ideal scenery for many games. So…why not? During White Nights Moscow we also had the chance to meet with various game designers, publishers and investors. 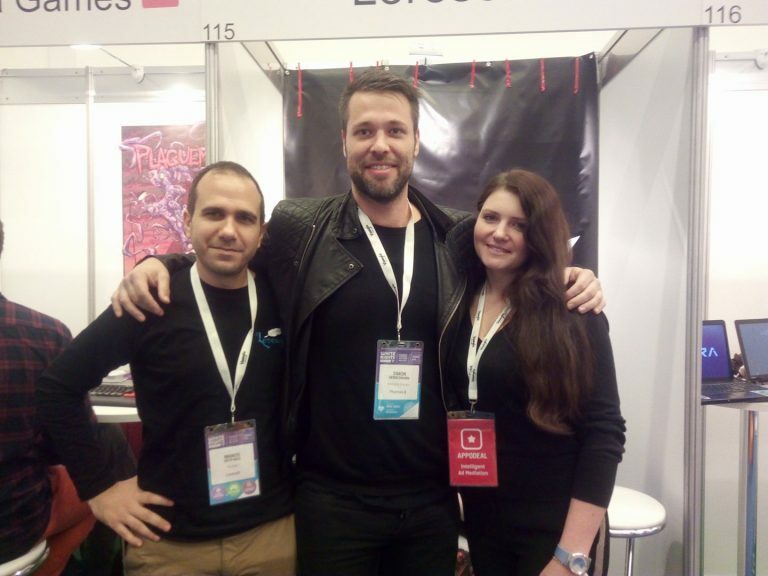 First, we met Phantom 8’s founder Simon Gerdesmann who is preparing Past Cure, an Action-Stealth game which has received major interest from the gaming community (over 100.000 likes in Facebook). Previously, we had the opportunity to talk with Simon in Gamescom 2017. We didn’t knew that we will find him there so it was pretty much a surprise. We also met with Alessandro Canossa from Ubisoft (pictured below) and Antonina Binetskaya, General Manager and Global Game Designer at Wargaming.net. Both of them had very interesting talks during White Nights Moscow. Also, during the event, we had some meetings with various other publishers like Samsung and independent Venture Capital companies. We had 4 wonderful days in Moscow and really enjoyed the city, the event and of course nightlife. Moscow is a beautiful place to go. Nevosoft was really helpful and we liked that everything was pretty much well-organised. During the first two days we were invited in two big night events in Moscow bars, with free food and drinks. Developers and organisers had the chance to meet each other, so we had a really great time. We enjoyed both our trip and the event, so we’d definitely want to re-visit Moscow for many many reasons. 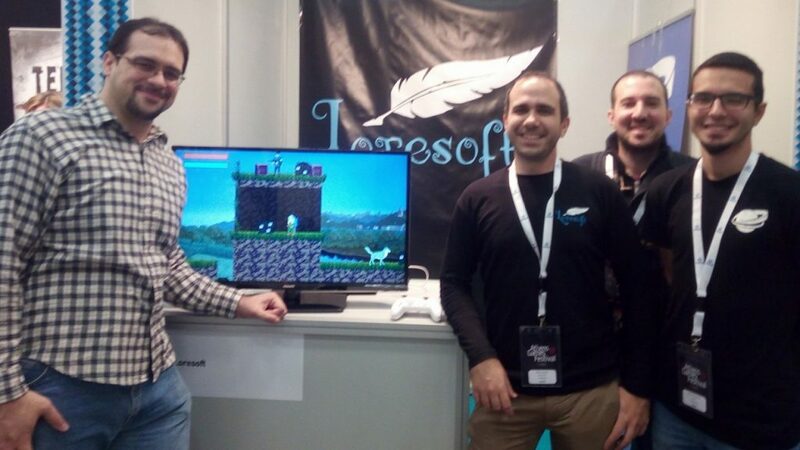 During October’s last weekend (Saturday 28 and Sunday 29) we had a blast at Athens Games Festival! AGF is the first business gaming exhibition organised in Greece and more specifically by our government in order to promote the greek gaming industry. The fact that we were in our physical location allowed us to be more well organised. So we got more people in the booth (didn’t manage to get photos with everyone though). We showcased Katyusha and our side-project, a free-to-play Platform, currently stated to release for PC, Android and iOS. We will announce it once we are ready. It’s a small project so it doesn’t need the development time that Katyusha needs. We will probably release it during 2018, while Katyusha doesn’t have a release date yet. 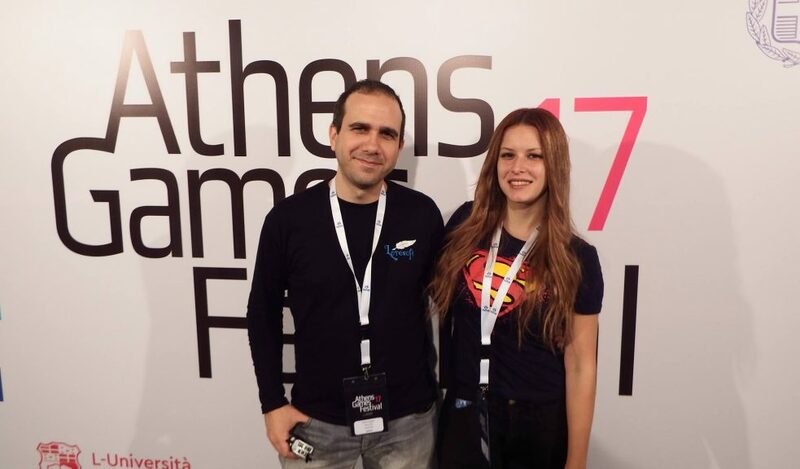 Athens Games Festival was open to public. There was no entrance fee, so beside being a business gaming conference, it was a good opportunity for greek gamers to play the new greek games. 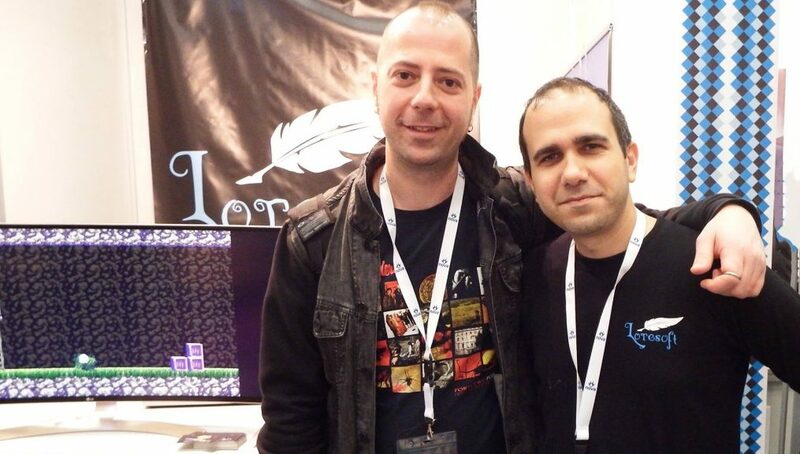 In Greece we had various companies either closing (like Aventurine, developer of Darkfall), or halting the development of their games, so right now the greek gaming industry has only 3 development companies and the vast majority is around 80 small indie development teams, including Loresoft. 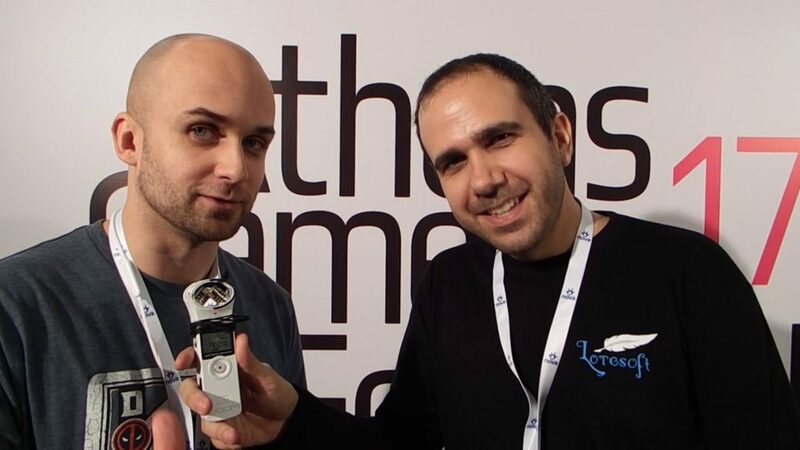 Athens Games Festival had 60 booths and most of them had indie developers. There were also three development teams from Cyprus and one from Israel. 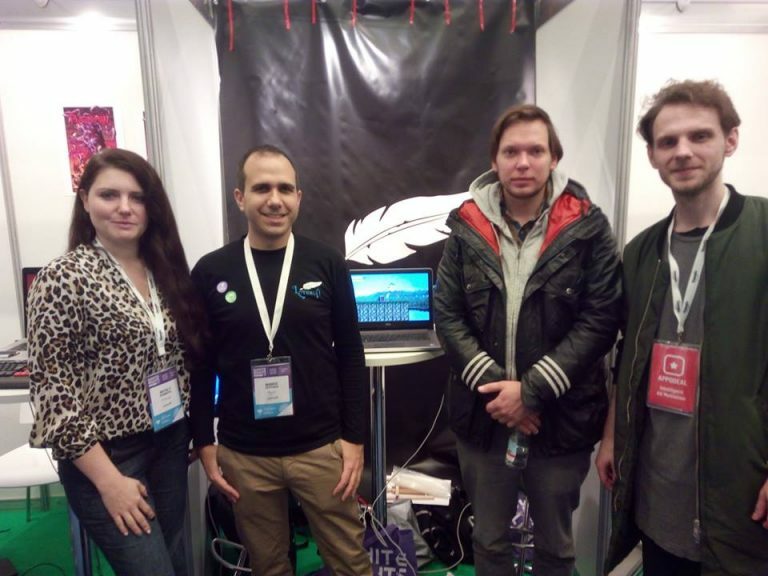 During the Athens Games Festival we met with many developers, publishers and investors. In the picture above you can see Matt Binkowski from Techland, game designer of Dying Light (pictured above), as well as Anastasios Katopodis, producer working in the mobile gaming department in Wargaming.net (pictured below). Both of them spoke in AGF in front of game developers and investors who really wanted to know how succesfull games can be made, by people who are established members of the gaming industry. They are also really cool guys and we had a nice gaming chat in our booth. During the event we also got feedback for Katyusha from greek gamers. Since we are based in Athens and currently a big part of our community lives in Greece, gamers here were already hyped by our presence in Moscow, thus we had a non-stop queue in our both as several hundreads of people wanted to play Katyusha. We know that both russian and greek gamers are demanding, but from our first events we didn’t see them being so much demanding! Maybe they found Katyusha…being cute! They provided positive feedback and really liked her as a character, so that’s a good start. We’d also like to give an update for Katyusha. Here is the update for the ongoing development process which is rapidly improving. 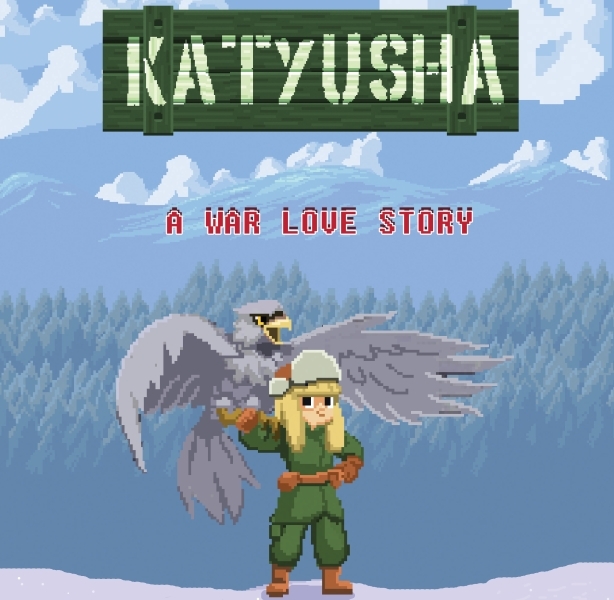 Note: Want to see Athens Games Festival in a video and also off-screen gameplay of Katyusha? Check out GameWorld.gr’s coverage. – Most of Act 1 graphics. – Basic gameplay mechanics, including melee, loot and ranged battle. – The levelling up system. – Inventory is also completed and fully functioning. – The letters system is done. Each time you kill an enemy or find a comrad being killed, you read a different letter. – Stealth is also finalized (ie. you can see Katyusha in the last image hiding in a booth). – Basic crafting: For every two pieces of cotton gathered in trees you create a healing gauge. – Finalizing the first level by implementing a complete level design. – Implementing the eagle along with Katyusha and interactions with enemies. Some basic eagle skills will be also implemented. – Designing 2-3 more enemies for the first Act (we have currently two enemies and an NPC). – Adding at least one puzzle mechanic. We are currently in a mid-prototype version of Katyusha so once we finalise the prototype version and enter the early alpha, we are going to make an official announcement to the media, together with a Steam profile and maybe Kickstarter. Our plan is to make one announcement for everything. As the indie hopefully we will have an alpha version during 2018. These will result in a more stable prototype version of Katyusha. Last but not least, we are planning to launch our Forum in Loresoft.gr so that we can discuss everything internally. In the meantime Follow Katyusha on IndieDB as we have lots of exclusive announcements for our IndieDB profile, which are posted on Facebook and Loresoft.gr later on. Also, Follow Loresoft on Facebook and Katyusha on Facebook. We are workaholic guys so expect to hear from us in a weekly basis. We will also be in Athenscon showcasing our games, during weekend December 2-3, in the Tae Kwon Do stadium in Athens. See you there and thanks for the support!